BRF’s Entrepreneurial Accelerator Program (EAP) celebrated its fourth year of operation and successful launch of local high growth startups with the addition of 10 new startup companies to its Wall of Entrepreneurial Achievement. EAP installed the wall at Intertech 1 in Shreveport and hosted an unveiling with an original 13 portfolio companies two years ago in a community celebration with representatives from the City of Shreveport and Caddo Commission. In EAP’s fifth year, the wall now showcases 34 local startups that have reached milestones to launch in Caddo Parish. 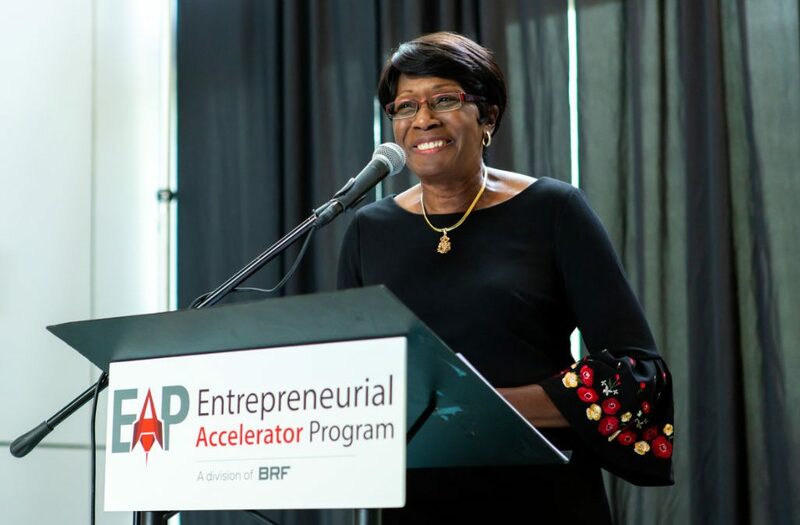 EAP is an economic development initiative and partnership between BRF, the City of Shreveport and the Caddo Parish Commission to launch and grow startups locally to diversify the regional economy and grow the area’s tax base through job creation and new industry. Companies on the EAP Wall of Entrepreneurial Achievement are those EAP has helped launch and grow locally in Shreveport and Caddo Parish. In four years, EAP has screened 624 companies to discuss business plans, growth potential and interest in launching in Northwest Louisiana. Smith and the EAP team of financial analysts provide startup services, which include market analysis, development of business plans, financial analysis and modeling. More than 120 new jobs are associated with EAP startups. The EAP portfolio companies have received more than $64 million in funding and capital investments from North Louisiana and around the United States. “Northwest Louisiana has the components for startup success. Chiefly these are startup services like those offered by EAP, access to certified angel investors or other funding and a pipeline of ideas. I congratulate the EAP team on their hard work to help these companies to launch and commend the entrepreneurs who were added to the wall today.” said John F. George Jr., M.D., President and CEO of BRF. The Entrepreneurial Accelerator Program was created to diversify the regional economy, grow jobs and expand the area’s tax base by providing services to innovative startups that have high-growth potential. EAP analyzes the viability of ideas and products, matches them with informed investors and nurtures them through the critical steps toward market. EAP provides a suite of services to build sustainable and profitable companies in Northwest Louisiana while stimulating economic development and enhancing the regional innovation entrepreneurial ecosystem.